When I was in high school, I drank a 2-liter bottle of diet coke per day….per day! I cannot believe I didn’t have chronic kidney stones or bladder infections. Although it may account for some of my inattention in school. Back then we didn’t know how terrible it was for our health. Sugary drinks have been linked to Type 2 diabetes, cardiovascular disease, brittle bones, and obesity. Today, I primarily drink water. I can’t stand the taste of soda, well, commercial soda. Small-batch, organic sodas are a nice treat. But I digress. I am not sure how I made that switch, but I am sure it was a long, slow process. I am also sure that, as I was starting out in my career, drinking soda became a luxury I could not afford. Since water is free, the switch also became a matter of economics. Today’s big beverage problem is not soda anymore, it’s the sports drinks and other sugary fruit drinks. According to a study by the University of Albany’s School of Public Health, the amount of calories consumed from sugary drinks in children has doubled since the 1970’s. One of the problems they found was that parents think these sports drinks are actually good for their kids. They are not! They are just as bad as soda in that they contain too much sugar, especially because we drink more than the 8oz. serving size. Not to mention these drinks contain chemicals like high fructose corn syrup (HFCS), and unnatural dyes and flavoring. Because parents think they are healthy, kids are drinking them all the time, not just for sports. Herein lies the problem. How much sugar is recommended on a daily basis? I also read somewhere that today’s sports drinks are nothing like the original sports drinks, which did not contain all the sugars (HFCS) they do today. Typical bait and switch. Create a good product and when it gets popular and you want to make more money, start switching the ingredients with cheaper alternatives. I still let my kids have a soda as a treat when we go out to dinner or a sport drink on a hot day or when they have really been working up a sweat. Occasional consumption isn’t the problem. It’s the daily and constant consumption of these drinks that is problematic to our health. Want to get your kids (and yourself) to drink more water? 1. Don’t buy sugary drinks…eventually everyone gets thirsty and water is as close as the sink (for most of us). 2. Fill a pitcher with water and add fruit like cucumbers, lemon, mint, strawberries, oranges, etc. 3. 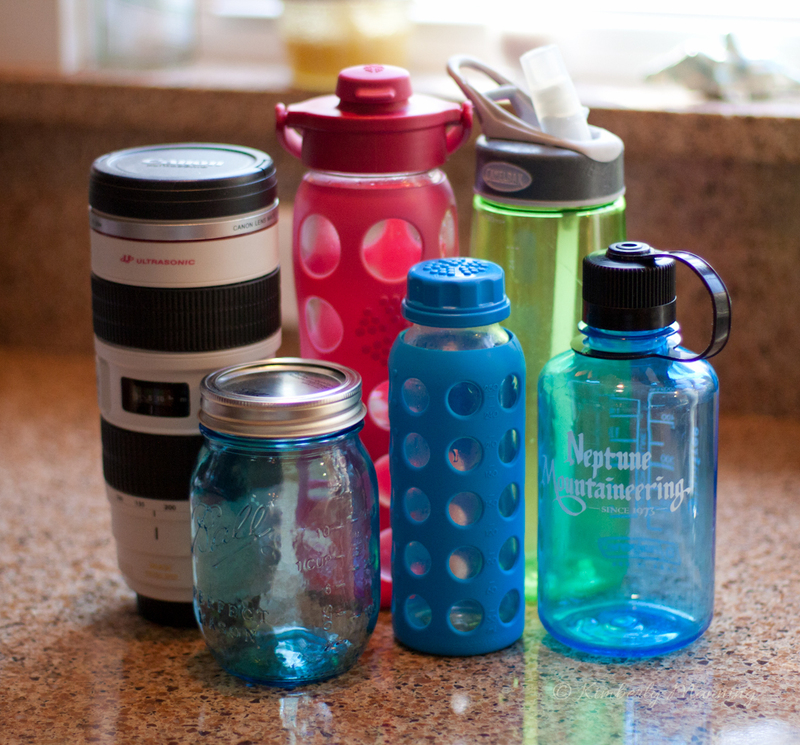 Get cool water bottles to refill. I love Lifefactory. They are glass, which is healthier and easier to clean than plastic, but they have a rubber protective outer layer to resist breaking and make it easier to hold. The come in lots of colors and styles. They are a big hit! Or go for a sports/team bottle…whatever works for you! A. Here is the link for the presentation by the University of Albany’s School of Public Health phl_0113_slides.